Despite the fact that James S. Friedman, LLC, is a smaller firm, we are frequently contacted by business outside New Jersey with collection needs in the State. We represent out-of-state and international clients that are owed money in New Jersey. Such debt may result from a New Jersey business transaction, or from a debt incurred outside New Jersey that has been reduced to a judgment that must now be docketed and executed upon in the State. These clients share the same goals as our local New Jersey collection clients. However, even out-of-state or foreign clients that are familiar with legal proceedings generally or in another jurisdiction are typically unfamiliar with New Jersey collection practice. 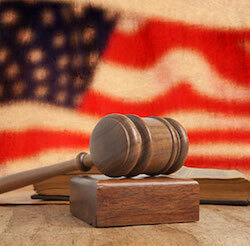 The New Jersey collection law firm of James S. Friedman, LLC, fills that gap. We work closely with our out-of-state and foreign clients to collect their debts regardless of where the client may be located. We understand that the client's location may not even be relevant - the primary goal is collecting the money owed and making the client whole. Depending on where the client is located, we may never meet in person. But because we place such tremendous emphasis on building and maintaining strong business relationships, our clients are made to feel that we are close by regardless of any physical distance between us. The result is that our clients trust us to represent their New Jersey collection interests. These clients prefer to use us over large firms for the same reasons that local businesses call us with their collection needs - personal attention and reasonable fees. If your out-of-state or foreign business is owed money in New Jersey, the New Jersey collection law firm of James S. Friedman, LLC, can collect that debt for you regardless of where your business is based. Call us at 800-361-6554 (toll free) or contact us online to learn about our services.